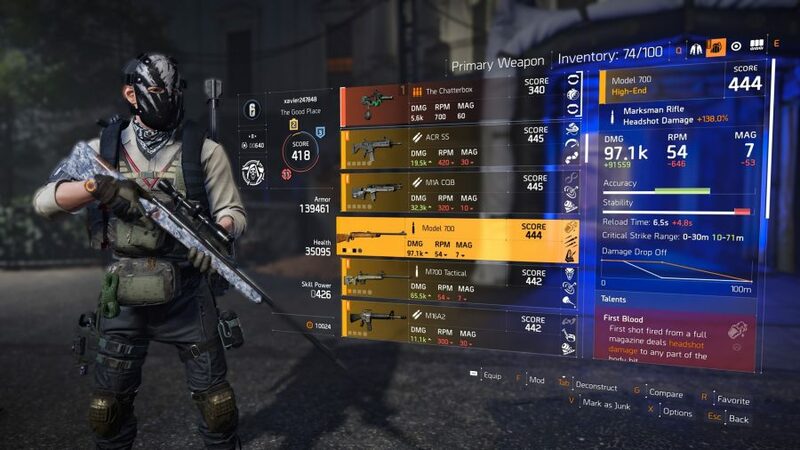 What Division 2 PvP builds will suit you best? It’s a fair question to rack your brain over. You may live for the gung-ho approach that an SMG build can offer, or the marksmanship that comes with using a sniper rifle. Maybe neither, perhaps you’re looking for something that allows you to dominate in mid-range scuffles. You also have to consider your environment, too. Even when you have your ideal playstyle in mind, it’s easy to get bogged down in The Division 2’s skill trees, gear attributes, and talent requirements. 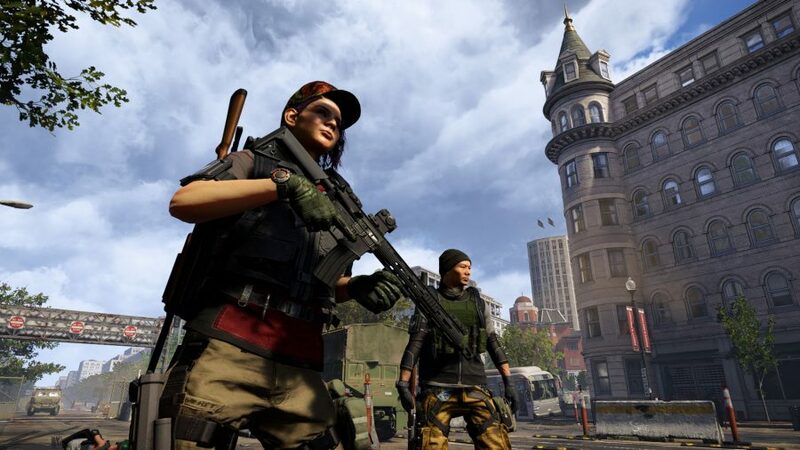 The Division 2 brand sets each offer their own buffs for specific playstyles. For example, Airaldi Holdings gear will buff up stats that are useful to snipers, like damage on marksman rifles. YouTuber Widdz has put together a build that revolves around two things – putting out as much critical damage as possible and having next to no shields at any given moment. It may sound weird in theory, but you’ll enjoy a range of buffs that proc when losing your shield, and you’ll have a large enough health pool to keep you safe, anyway. Key to the build is an SMG, as its high crit chance stats helps you convert the build’s capped-out critical damage into chonking numbers. When everything is in full flow, your enemies will regret knocking any of your health off. Do keep in mind though, this build works better in the Dark Zone as players may have the Vital Protection perk in Skirmish, which means you’ll lose 20% of your crit chance – although it still shreds. You’ll also want to use the Demolitionist Specialization as it boasts the Crisis Response talent, which reloads your equipped weapon when your armour is reduced to zero. If you decide to heal up, the X-stat Armour Kit-Supplementary perk will give you a nifty 100% boost to weapon handling, too. You’ll need to get a Division 2 Exotic weapon in this build, too. The point is to not use it though. The Chatterbox’s Blabbermouth talent ramps up the rate of fire on your equipped weapon by 20% for ten seconds if you reload the weapon five seconds after a kill while The Chatterbox is holstered. Still got that SMG handy? Make sure you have one that revolves around talents that bump up critical hit damage and rate of fire. Here’s one that we’d recommend. Clutch: critical hits restore 15% health and repair 2% armour. This is a lot more subjective, but your focus here should be on buffing armour and healing. The key stats to look out for are substantial increases to health, extra incoming healing, and armour on kill. The intention is that you get stronger as your armour is depleted, so you’ll need more health to save yourself when your armour is broken. Naturally, this leaves you open to refrags, so you’ll want faster healing and instant armour replenishment to get straight back into the fight. Reinforcer Chem Launcher: the reinforcer canister disperses a cloud of gas that repairs and reinforces armour of anyone inside the cloud. With some buffs to incoming healing a single canister can repair all of your armour. Defender Drone: this will deflect incoming fire, allowing you to survive with very low HP and continue dishing out damage. It’s also very easy to deploy. There’s a slight oddity to the Division 2’s PvP scene in that sniper shots aren’t a guaranteed kill straight out of the box. Fear not, though, this build will fix that right up for you, and it works well in both Skirmish and the Dark Zone. You’ll still need to be a steady hand with a sniper, and this build won’t do anything to fix your aim, but if you can get a long line of sight then you can expect heaps of easy kills. To the great surprise of no one, you’ll want to use the Sharpshooter Specialization for the slew of sniping perks it brings. 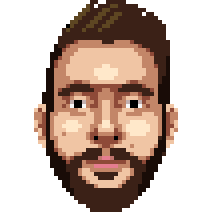 The best of the bunch is One in the Head, which buffs your headshot damage to absurd levels. You also want to keep an eye out for any gear with attributes that buff headshot or marksman rifle damage, as these will boost your chances of downing in one hit. To the grea- oh, you get it. A sniper is the only gun you definitely need, here. That’s handy as you can use your favourite gun in the other slot, maybe even a The Division 2 Exotic or something for close and personal engagements. Talents are flexible, too, but the Reformation talent is a nice touch for the bump to healing it offers. Reinforcer Chem Launcher: the reinforcer canister disperses a cloud of gas that repairs and reinforces armour of anyone inside the cloud. This is a reliable and fast means of healing behind cover and you can easily support teammates with it, too. Incinerator Turret: place this to cover your back and activate it when you’re being pushed. This will buy you a good deal of time and allow your team to rally around you. Redditor DangThing has put together a nifty critical damage build for all the assault rifle users out there who wish to kill before being killed. This one isn’t too dissimilar to the critical damage SMG we had earlier as it’s very much about pumping out as much damage as possible. It does allow for more flexibility at range, though. The trade-off, however, is that there is less protection to this one so consider it something of a glass cannon build. The survivalist is the optimal choice among The Division 2 specializations as it gives you solid 15% buff to AR damage. Alongside that it comes with plenty of other neat perks that, while not central to the build, are useful anyway. There’s a couple of different brand sets you’ll want to use, but more specifically you’ll want to use three pieces of Douglas and Harding, two of Badger Tuff, and one of Fenris Group AB. The auto-rifle is in quite a good spot in the meta right now and most of them are viable, so this will come down to your personal preference and playstyle. If higher damage at closer ranges is your scene, a Fal or AKM type will be preferable. If you want to keep foes at an arm’s length, consider the ACR-E or Tactical MK16. This is a loose one for mods, but for this build anything that can boost your critical hit damage will do quite nicely. There is a lot of talents to use for this build, but the main one you’ll want to keep your eye out for is the Hard Hitting talent, which will buff your elite damage output. The rest are quite interchangeable and Surgical could easily be subbed with Critical. Reinforcer Chem Launcher: The reinforcer canister disperses a cloud of gas that repairs and reinforces armour of anyone inside the cloud, which will help alleviate the glass cannon nature of this build. Defender Drone: This is another helpful one for glass cannon builds and is very much the same here. The Defender Drone will deflect incoming fire, allowing you to survive with very low HP and continue dishing out damage. And there you go, some cracking The Division 2 PVP builds to keep you on top of the pile. 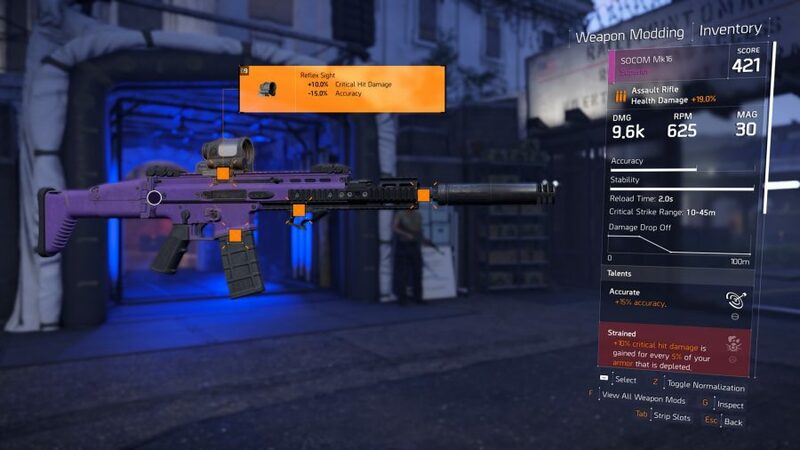 The Division 2’s specializations, mods, guns, talents, and skills make for some wonderful innovation and flexibility in creating powerful builds. That said, it can be ever so difficult to take this all on, so we hope these builds have given some confidence to try some stuff out for yourself.